When Marvel's Avengers 4 concludes, the studio will enter a new era of superhero movies, likely without Captain America, Iron Man, and maybe even Thor. While we already know Spider-Man, Doctor Strange, and Captain Marvel will be a big part of Marvel's future plans, it might be the Eternals who get top billing when Phase 4 of the MCU gets rolling. 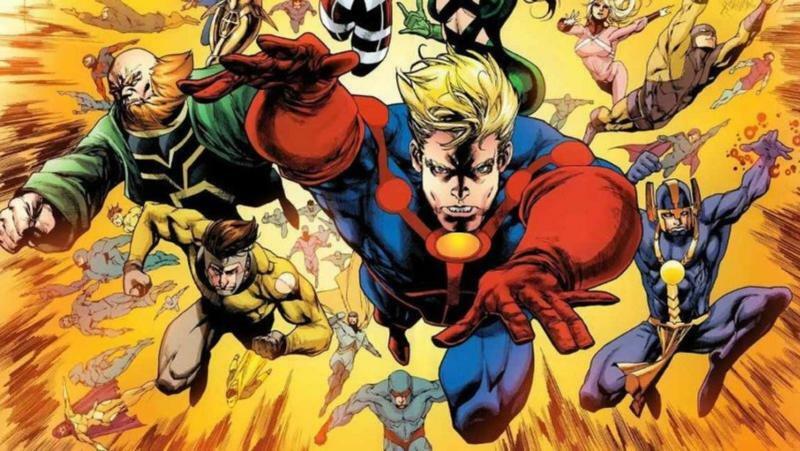 Now, a new report from The Hollywood Reporter claims the Eternals has found its director, while a script from Matthew and Ryan Firpo is already complete. According to the report, the Eternals will be directed by Chloe Zhao, a director known for indie hits The Rider and Songs My Brothers Taught Me. Zhao was previously considered to direct the standalone Black Widow movie, but the gig eventually went to Cate Shortland. The Eternals will be based on the team created in 1976 by legend Jack Kirby. Essentially, they're a human offshoot evolved from the process that created life on Earth, tying them to the Celestials, who have been mentioned in the MCU before. In addition to the Eternals, there's also an evil counterpart to the group known as the Deviants, which look less human and more like monsters. The Hollywood Reporter claims the story will feature a "love story between Ikaris, a man fueled by cosmic energy, and Sersi, who relishes moving amongst humans." With characters like Captain Marvel and Guardians of the Galaxy, we knew Marvel was going to get cosmic in Phase 4 and beyond, and the Eternals should take it to another level entirely. With a script and director reportedly in place, it might not be long until filming for the Eternals gets underway—it's just a matter of rounding out a cast and nailing down a release date.